I've had this title on audio book for a while, but realised I was never going to get round to listening to it. I was lucky enough to acquire a copy of the book and am kind of mad at myself for waiting so long to read it. I wasn't sure what to expect, but I think it's fair to say that my expectations weren't high. I had read Holly Black's Ironside series and found it enjoyable, but fairly bland – with Valiant being the only title that I thought showed real promise. However, in White Cat, Holly's writing has moved to a whole new level. Mainly due to her creation of a genuinely believable main character, Cassel. 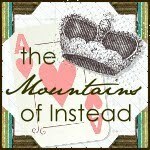 Cassel Sharpe has one of the most authentic voices that I have come across in recent YA fiction. 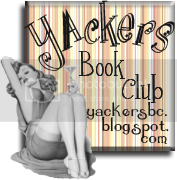 From page one, he is completely unlike any other protagonist that I've read – which says a lot in a genre often populated with fairly generic male characters. He is wrapped in self-loathing due not only to the fact that he killed his best friend but also because of guilt at the ease with which he is able to con people – because Cassel is, above all, a grifter. He seems unable to resist seeing those around him as prospective marks and is clearly gifted at planning and carrying out a con. While he loves the thrill of the game, he hates that he enjoys it so much. Similarly, while he loathes himself for commiting murder, he is conflicted in his guilt as he cannot remember anything about the act itself. Cassel could so easily have come across as a bit woe-is-me-stuck-in-this-family-of-crime but he never does. Instead he watches, listens and starts to piece his past and present together. He's clearly smart and clearly hot so is clearly my favourite kind of man. If he played the piano he'd be just about perfect. I could go further into the intricacies of his character but I don't want to ruin it for you other than to say that he completely inhabits himself from the off – his voice so believable that you could easily be sitting opposite him in a diner, hearing his story direct from the horses mouth. Although his story might make you move slightly further away. The plot rattles along quickly yet carefully. There is a lot of world building to be done and Black skilfully weaves it into the main storyline – never leaving the reader confused. I really like the idea of a ban on magic creating a network of organised crime and sinister gangsters much as prohibition created men like Al Capone. All the family members that we come across (both the Sharpe family and bigwigs the Zarcharovs) are painted in shades of grey. Cassel's brothers are, while sometimes verging on brutish, pretty interesting with Philip particularly conflicted in his actions and motivations. Worthy of note is Granddad Desi, who despite having possibly the most sinister magical ability comes across as the most thoughtful and caring character of the lot. The white cat of the title is also full of character but you'll need to read more about her for yourself. I'm delighted that this is part of a series. I can only imagine Cassel's world becoming more interesting, more dangerous thus creating more conflict for Cassel himself. His mother is a character that I certainly hope to see more of – I'm pretty sure that, in her own way, she could easily become the most dangerous of the lot of them. 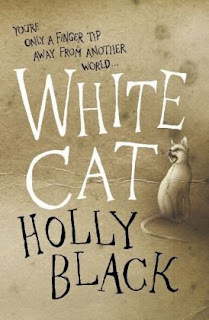 Whether you read and enjoyed Holly's fairy books or read them and were underwhelmed, put them to the back of your mind when you pick up White Cat as it is altogether a darker, more adult read. From the skilled characterisation to the glorious terminology of the con and the brilliantly nuanced plot, Holly Black has truly come of age and I will definitely be picking up anything she writes in the future. I've heard very mixed reviews of this one so after this review, I'm a little more keen to give it a chance myself! Thanks. What an intriguing review - hadn't seen anything about this book before but I'll look for it now.